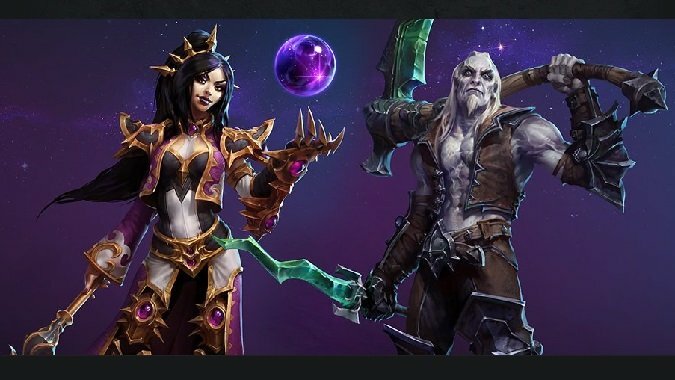 In a surprising bit of late-night news, various websites are reporting that Blizzard has revealed via interviews the next two heroes set to come to Heroes of the Storm: Li-Ming the Wizard and Xul the Necromancer. Both of these characters come from the Diablo universe and have been hinted at over the past two days. While we’re sure to get an official preview of these new heroes from Blizzard very soon, join us after the break for a rundown of their abilities and overall character design. Magic Missile (Q) — A skill-shot ability fired at a target point. This needs to be aimed very precisely, as the target point is very specific. Arcane Orb (W) — Another skill-shot that fires at a long range and deals AOE damage on impact, but is not very fast. The trick to this is that the damage is increased the farther away Li-Ming is, so you’ll want to cast it and run to maximize damage. Teleport (E) — A short-distance, short-cooldown teleport that is specifically characterized as the opposite of the Bolt of the Storm talent. Disintegrate (R1) — Her first heroic ability sweeps back and forth across enemies to cause great damage. Wave of Force (R2) — Her second heroic ability lets you remotely detonate a telekinetic bomb that pushes enemies around and is a great counter against back-line characters. Spectral Scythe (Q) — A “reverse skill-shot,” where you lay a scythe down at a target point that swings back towards you. Cursed Strikes (W) — Turns Xul’s basic attacks into AOEs and curse enemies to reduce their attack speed by 50%. This will be good against fast heroes or multiple-Warrior team compositions. Bone Prison (E) — A targeted ability that warns enemy heroes of their impending fate and then, two seconds later, roots them in place. Poison Nova (R1) — An AOE that starts at Xul, spreading a huge amount of damage around him (it sounds similar to Defile in WoW). You’ll want to use this in the center of teams to maximize damage. Skeletal Mages (R2) — A wall of mages forms at a distance, sort of like Tassadar’s Force Wall. Unlike Force Wall, though, it doesn’t block all movement but rather slows enemies hit by the mages. Bone Armor (1 key) — Xul gets one more baseline ability to give him extra survivability when approaching the front line, a bonus shield worth 25% of his health. Be sure to check back here for the official release information from Blizzard, as well as the Gamespot and Razer interviews with Game Director Dustin Browder, which talk more in-depth about the various talent options that these heroes will have.